These days, hummus is like the new Nutella – a recent addition to modern American cuisine and becoming a household staple. The awesome creamy chickpea paste that’s ubiquitous among food blogs and foodie-hipsters’ plates. You can find hummus served as an appetizer at many restaurants – not just Mediterranean or Middle Eastern ones; in every grocery store; and on a multitude of school kids’ sandwiches where the Jif used to be. It’s taking America by storm. Get on this bandwagon, already! But yeah, no, I’m not telling you that you have to go to the store or to your neighborhood restaurant and go buy it. If anything, I’m telling you that it’s so simple that you may never have to! Personally, I think homemade is better, regardless. 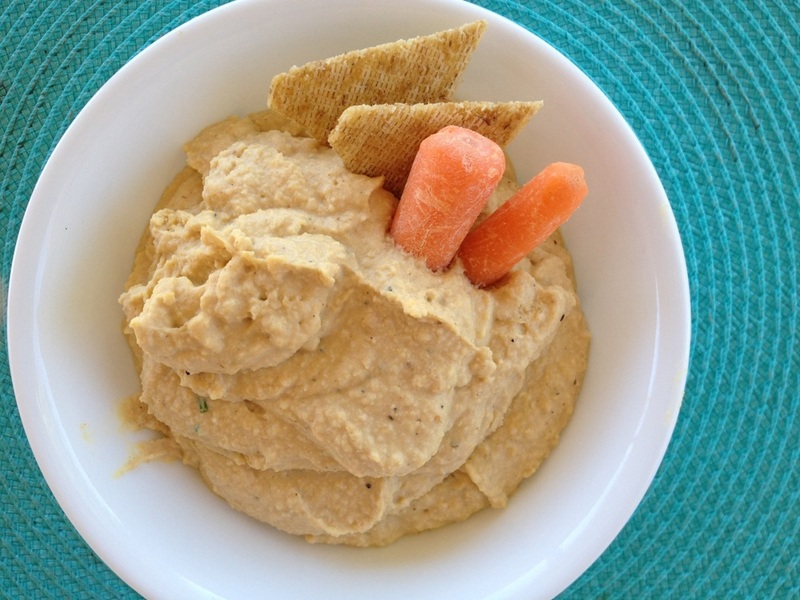 Almost forgot – hummus is healthy, too! Would you have guessed I’d post a healthy recipe on this blog? Filled up with all kinds of nutrients? Who knew. I’ve got a special recipe here that I simply adore for its ability to pair with tortilla chips… and it involves black beans. 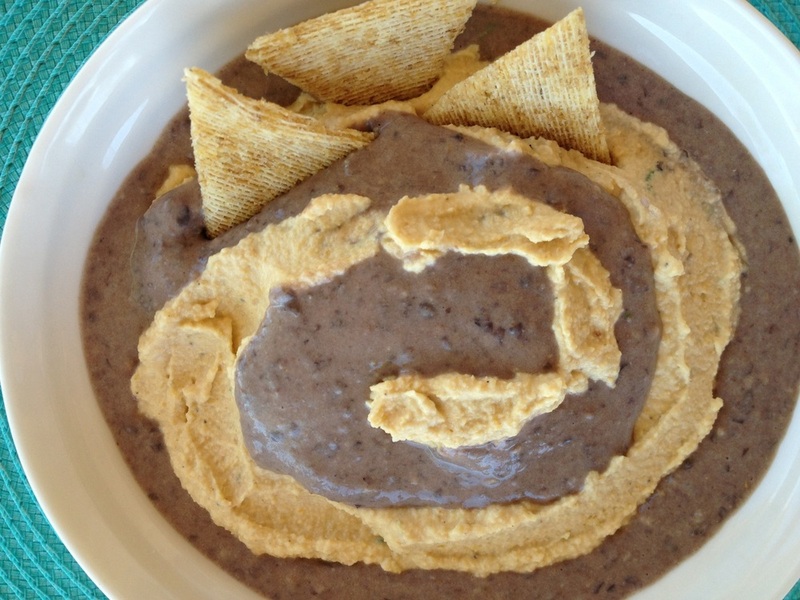 Black beans are just so darn tasty blended up with hummus ingredients, and you can swirl it right into the basic hummus recipe for a party-worthy Black + Tan Chip-Dip. Just knowing that black beans are loaded up with antioxidants, fiber, iron, and manganese makes it even better, if that’s possible. Oh, the delicious nutritional facts. Blend all ingredients together in a food processor until very smooth, adding more spices or liquid as desired. If you like this, and want to start getting creative with it, I suggest trying cilantro, dried tomatoes, roasted red peppers, or jalapeños, etc. Enjoy with slices of pita bread, raw veggies, whole grain crackers or chips, or on a veggie or turkey sandwich! The possibilities abound. Now let’s get a little crazy. We’re gonna add the black beans to the mix. Start with the Basic Hummus – place that finished mixture into its own bowl. Then, clean out the food processor so that the colors don’t mix just yet. You’re going to make the black bean dip the same way, except – and look closely – you use the black beans… and ½ of each of the liquids. That is to say, only 2 T. of the EVOO, 1.5 T. of the lime juice, and 2 T. of the water (if it’s necessary!) The black beans blend more smoothly than the chickpeas.